Holds firmly, removes cleanly. Reusable clip. Will not slip like magnetic clips. No surface damage. 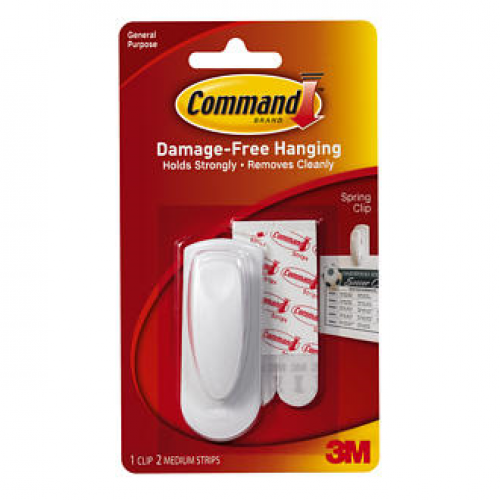 This 3M Command Adhesive Spring Clip is one of many top quality items in our Adhesive Hooks department.